As the new year approaches and you set your resolutions, tidying up your home will surely be on your resolution list. For people with a self-storage unit, it is also important to tidy up and organize the unit so that your belongings are easily accessible. Organizing your storage unit will also help keep your belongings in the best condition. Today, Affordable Family Storage Des Moines will look at seven New Year’s self-storage organization tips. When it comes to clutter and disorganization in your self-storage unit, a lot of it can be traced back to storing junk. It’s a good practice to go through your storage unit regularly and clear out any junk that you don’t need instead of hoarding it. This can be as easy as taking a trash bag with you and grabbing things that you won’t ever need. As your family grows and as you accumulate more possessions, you will need more and more storage space. If you are trying to reorganize but aren’t having any luck, you might just need to upgrade to a bigger storage unit. Another common cause of clutter in self-storage units comes from simply throwing your things in your storage unit without any rhyme or reason. Rather than letting junk pile up in your unit, consolidate your items. This will not only de-clutter your storage unit, but it will also make it easier to find your stuff. One of the most common causes of damage in storage facilities comes from storing your belongings in a bad container. Bags do not stack well, so avoid storing things in bags and try to limit the number of storage containers in your unit. Buy some bigger plastic tubs and keep your items organized and safe. It is well known that New Year’s resolutions are often abandoned after a month or two, but to keep your self-storage unit organized, you will need to clean your storage unit fairly regularly. This will ensure that your items are not collecting mildew or mold and will also keep your unit organized. A great way to prevent your storage unit from overflowing with items is to rotate seasonal items. Don’t let items sit in your storage unit for years if it is something that can be used. 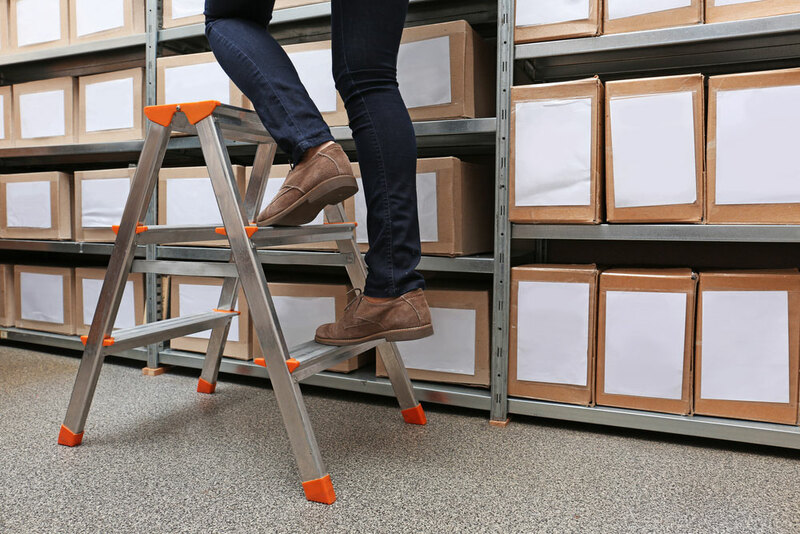 It isn’t incredibly difficult to install storage shelves and most facilities will allow you to bring them in. Shelves give you space to store above the ground as well as on the ground. If you need self-storage organization tips, get in touch with Affordable Family Storage today at (515) 325-0248 or contact us online today.